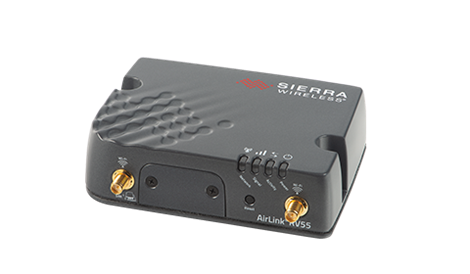 The AirLink® RV55 is the industry’s most rugged, compact, LTE-Advanced Pro router. Simple to install, and easy to manage, the RV55 router is designed for connecting critical remote assets, infrastructure, and vehicle fleets. The RV55 is especially well suited for applications in energy, utilities, smart city and public safety. The RV55 provides real-time remote connectivity for SCADA, distribution management systems and metering. The RV55 high-performance LTE-Advanced Pro connectivity, Wi-Fi and GNSS and location-based applications and dual connectivity for vehicle fleets and mobile workforce. An LTE-M/NB-IoT variant is perfectly suited for hard to reach conditions. The RV55 supports an extensive range of LTE bands worldwide, and its LTEAdvanced Pro capabilities deliver up to 600 Mbps downlink speeds. The RV55 also supports new unlicensed LTE bands (eg. CBRS) to support dedicated Private LTE service.